As one of the world’s most populous nations, we generate a lot of data. But the world is making money out of our information. We even pay for it! While buying a house in any place, the overall security of the area is an important parameter. One would generally ask friends and residents of the place as to how safe the city or particular area is. However, if you want to buy a house in any big city in the West, you don’t need to ask anyone. The information, not only about the city but up to the street level, will be made available to you. The crime rate, kinds of crimes, likely timings and pattern of crimes, the rate of detection and conviction and every other possible information will be in your mailbox at the click of a few tabs, of course at a cost. Information is power—something we came to know in the last century. However, only with the advent of the GAFA (Google, Apple, Facebook, Amazon) economy, the world realised that information is actually hard cash. In spite of all the talk about privacy and reservation over providing information for Aadhaar cards, almost all of us are continuously sharing our daily lives with these smart enterprises, willingly or otherwise. This free-of-cost information has become the biggest source of profit around the world today. The knowledge that information is money is one thing, but to actually make money out of information is an entirely different thing. As the second most populous country, we have a lot of information. The irony is that the world is making money out of our information and we even pay for it! Forget making money, we are hardly harnessing the available information to improve our basic systems and lives. Let’s come back to the example of information on crimes. Modern police systems around the world are primarily based on predictive policing models which depend heavily on crime data. Every crime is mapped and recorded carefully. This data is used to make decisions such as allocation of resources. With the continuous process of data collection and evaluation, the plans are improved regularly and course corrections made. These analyses and evaluations are mostly done by independent agencies. Of course, the funding is provided by the police, fully or partially. No doubt a lot of time and money is spent on the collection, collation, preservation and analysis of the crime data. Consider then that organisations like Google and Facebook also spend a lot of money on these activities and still make huge profits. Other than being an important tool for improving public services, the crime data is also a saleable commodity. People will readily pay to have accurate and authentic information on crime in an area—because it helps them in buying and renting properties and making decisions for a safer lifestyle. In India, crime data is collected by the National Crime Records Bureau. Every year the Bureau comes up with its publication: Crime in India. Over a period of time, the quality and range of fields of data collection have improved. However, there is always a debate as to how accurate and reliable the data actually is. But more importantly, this information is hardly used in any productive way, especially in improving police systems at the grass-roots level. Even now, all planning is still based on historical memory and doesn’t involve much of data analysis. For example, if a city police gets 500 new constables and 100 new vehicles, how should they be deployed? Of course, the police should base this decision on some study on the need for resources in various parts of the city. However, in the absence of any scientific and systematic study, the resources are actually deployed as per vague guesses and unverifiable calculations, loftily termed institutional memory. The absence of any systematic approach also gives way to undesired discretion on the part of the police leadership. The police commissioner of a city, in all his wisdom, may decide foot patrolling is the best way for the safety of citizens and deploy more manpower for that. The next incumbent may prefer patrolling by PCR vans, again as a personal choice. Both decisions may have been taken with the best of intentions, but these are serious issues involving public money and even lives of people. How can we leave them to the whims and fancies of someone, however senior and wise he may be? Should we not take these decisions in a scientific way and put them to test for public scrutiny? How much say do the citizens today have in the ways our police systems are run and on what principles are resource allocations made? After all, it is public money that is meant to make the life of people safer. 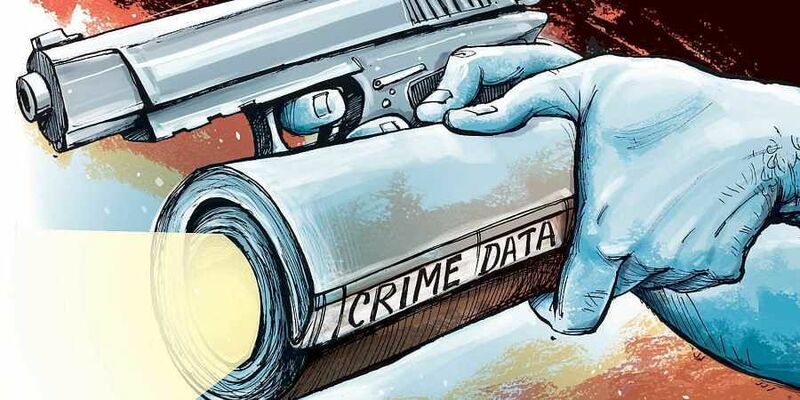 Rather than the police, our universities and educational institutes should collect and analyse the crime data. The police authorities are neither meant nor equipped for such an academic exercise. They can only provide genuine, authentic and reliable data. Today there is hardly any research on police subjects in our educational institutes. Whatever little we have is a purely academic exercise with no worthwhile use or application in the field. The police have the data but they cannot analyse and use it in productive ways. Universities don’t have the data and so cannot help the police with any analysis in improving the systems. free and then innocently paying for it to Google through our cab operators.